I only know Musang King from your list.. 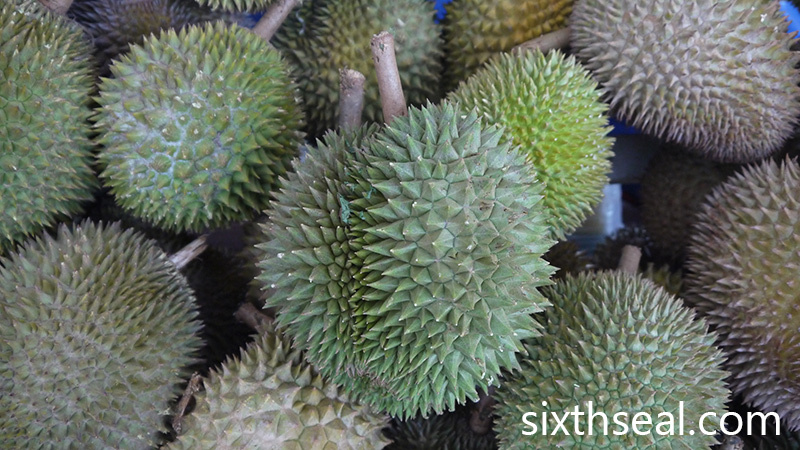 I also heard of “black fins” (hak chi) and “udang merah”, that’s all.. Never had one bite during the season, not a fan of durian, but sometimes teringin mau makan also, but scared heaty pulak, as I just recovered from a terrible sore throat and tonsilitis.. 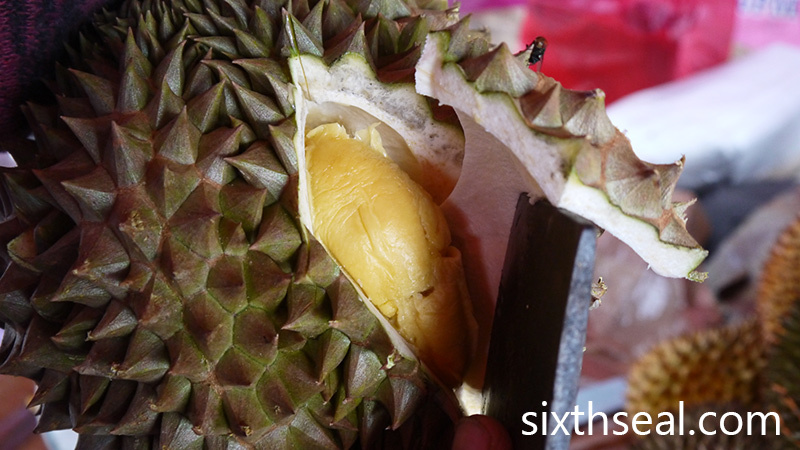 I don’t think you’ll consider RM 48/kg cheap – that’s what old tree Musang King retails for right about now. There was a glut a few years back that had Musang King drop to ridiculously low prices (RM 10-12/kg) at one point though. Of course, there are kampung durians for RM 10 for 4 but if you want cultivated breeds like these, you’ll have to pay a bit more. Hey, you can always eat them in Kuching or Sibu! 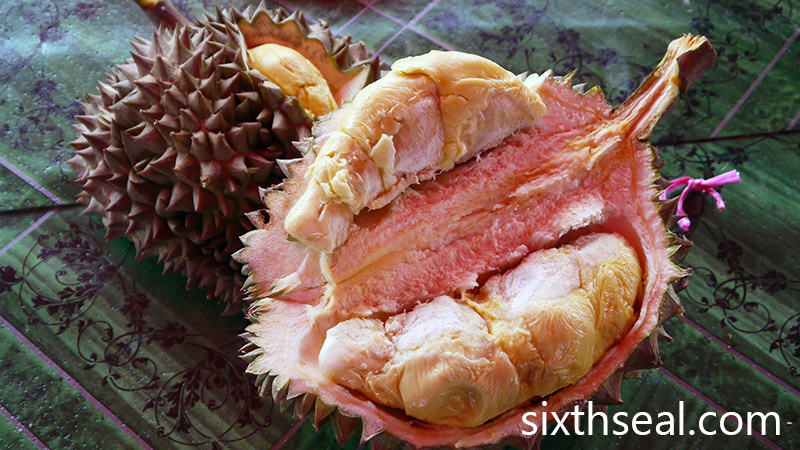 I miss the red durians we get back home – what we call durian hutan (jungle durians). There’s a proper name for it though. Walao, feeling like wanna lick the screen of my laptop…. 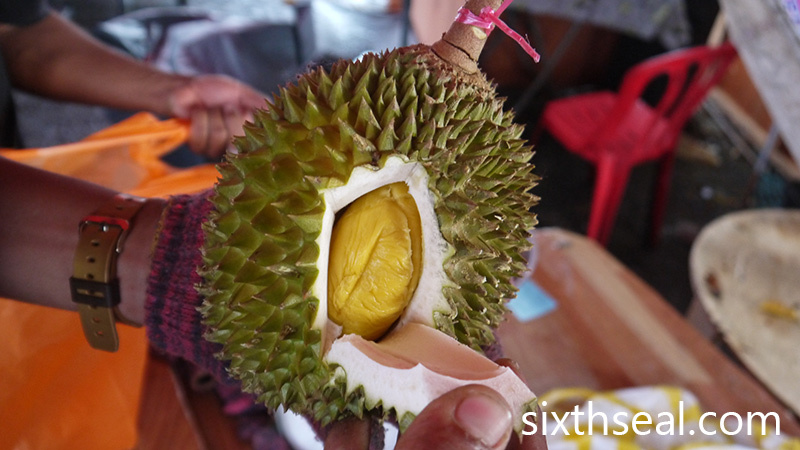 I have to confess that I was salivating and drooling at all your durian photos and could smell them!!! I have only eaten Musang King and XO. All other names are new to me! I’ve never tasted it before, only heard about it. I got it near Shah Alam, seems to be popular with the Indonesians. 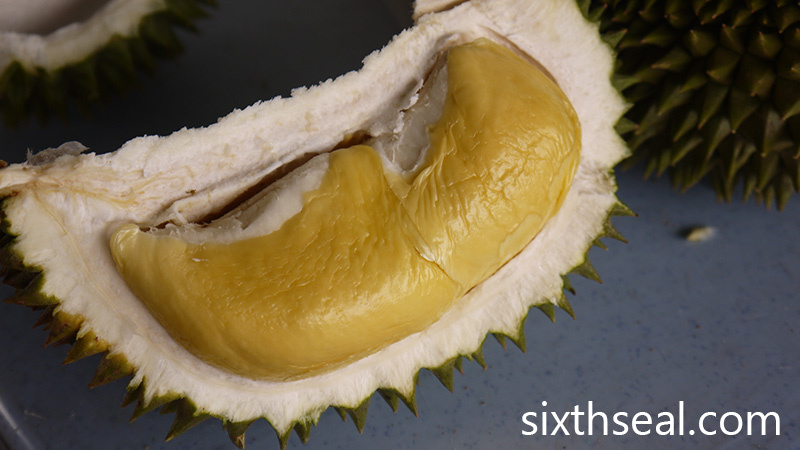 I like Musang King too but I want to try more obscure durians and I’m eating the ones that’s in-season. I have never seen these before but would enjoy trying them. It’s really quite good but the prices are being driven up by the curiosity and buzz, it wasn’t that expensive a few years back (but still commanded a higher price point than Musang King). I always think Musang King looks weird in pictures because it’s so shiny… I guess that’s shiny layer is part of what makes it delicious! I love your blog, you know so much about durians it’s always such a great (and enlightening) experience to read your posts. I really admire what you’re doing too, talk about following your dreams. Yeah, I have a theory that most of the good Penang durians stays in Penang due to local demand so the Green Skin here would not be as good as a similar one from Penang. Not sure how true that is though. Heh! I love the shiny saffron color too, it’s very appealing. 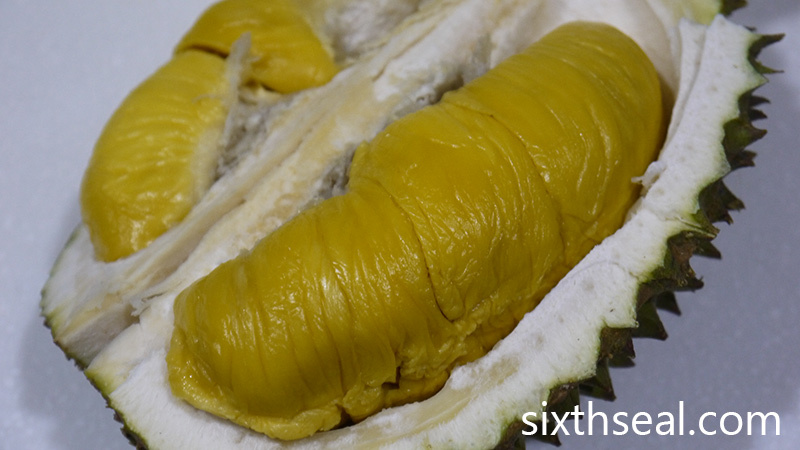 The only durian will be the type that is frozen, hard, whitish, tasteless, disgusting. and cost you RM40 for two piece. Oh, I’ve had that in Melbourne while I was doing my university there. 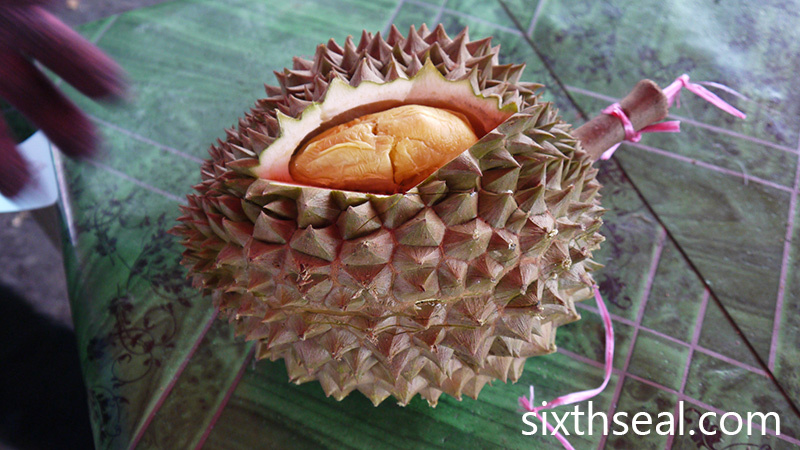 I saw it in the Asian grocer and couldn’t resist (although it cost close to AUD 70 – about RM 200+ for a frozen durian). I think it was a Monthong, it’s definitely from Thailand and a bunch of us pitched in to buy it. I love to eat durians. 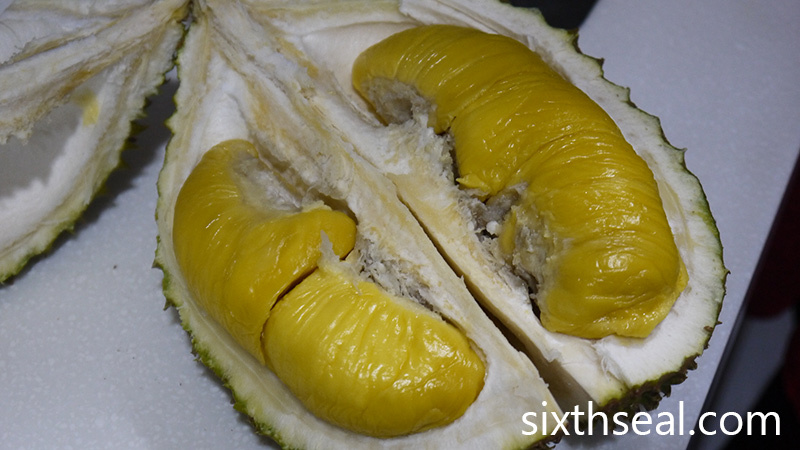 Seeing all the photos here make me want to eat durians all the more but the weather is so hot, how to eat? I mean if you believe in the cool/heaty food theory that is. 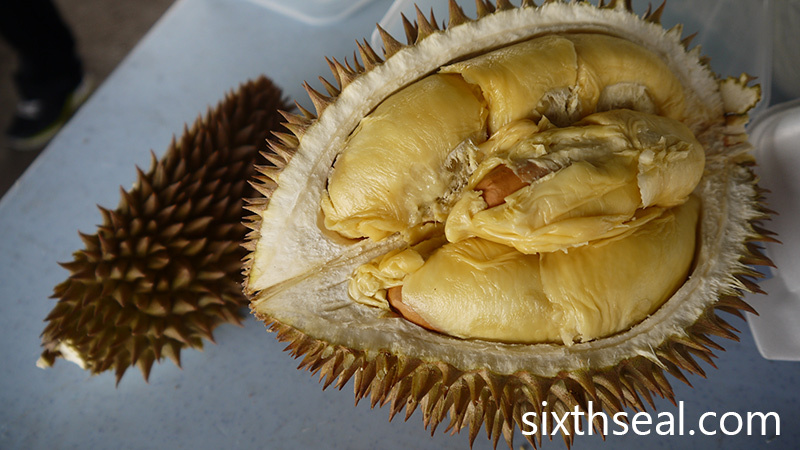 I personally don’t so I don’t have any problems with eating massive amounts of durian. I can eat a lot of (supposedly) “heaty food” without any problems, probably coz I don’t believe any of that. 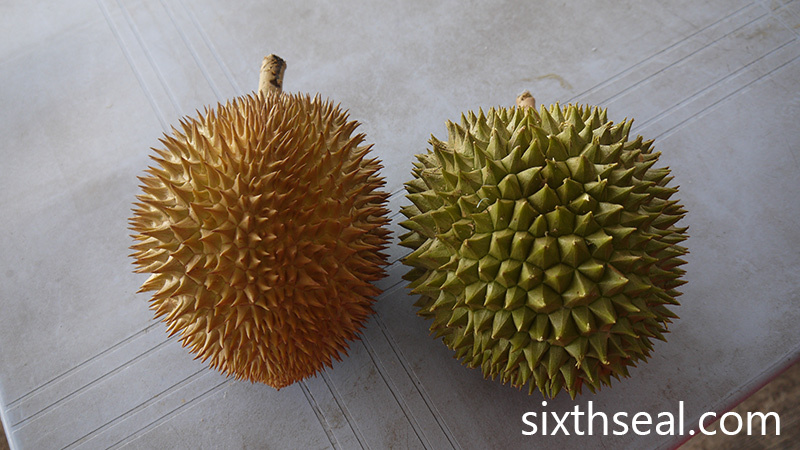 However, my better half does and she gets sore throat from eating too much durians. I think it’s the reverse placebo effect – the mind is a powerful thing, you can get sick if you believe in it, while I’m fine coz I don’t. Hi, any idea when the durian season will end ? Musang king peak harvest season is? Where to get the wrinkly MSK? Could it be the ones I tried are from younger trees since the taste is milder and flesh less wrinkly… not ‘kick’ enough. 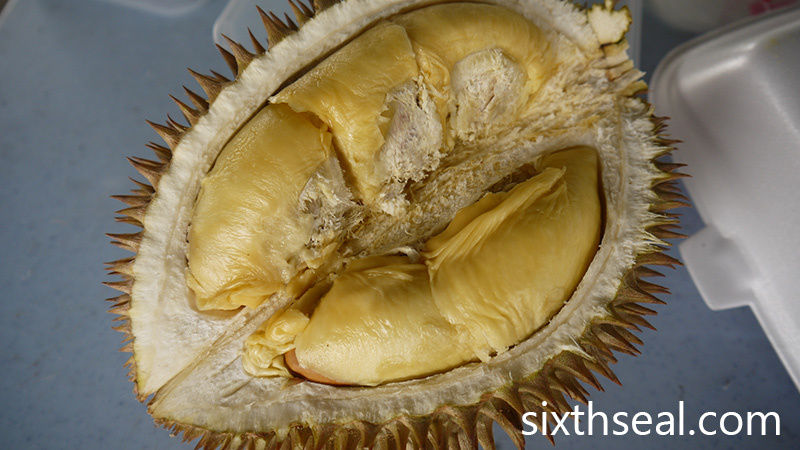 thanks for sharing your durian sessions. so informative! I wanna eat them all. had so much durian already. gotta control sikit cos I do get sore throat when I eat too much durian. 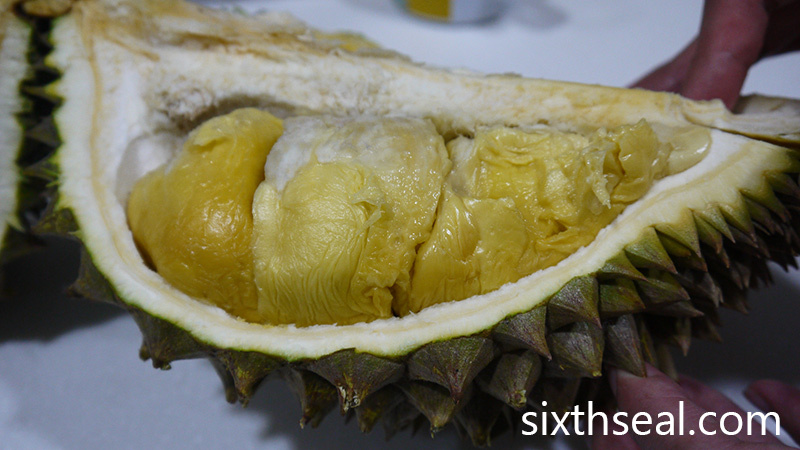 Hi, could anyone tell me where I can buy excellent AAA top-of-the-line grade of Musang King please? A piece of heaven lies in these particular variant which offers the creamiest, most rich and thick flesh. A single seed – often very tiny – the size your the nail on your pinkie, and flat, could sometimes take up a whole segment of the fruit. May I know the stalls you bought these durians from?